How we strengthen the communities we call home. Staying involved with our community is critically important to all of us here at Honda of Canada Mfg. (HCM). That’s why we stand ready to make charitable donations, volunteer our time and lend a hand in any way we can. Here are a few ways we do our best to be a good neighbour. Launched in 2005, HCM is proud to partner with Honda Canada to enable dreams through the Honda Canada Foundation (HCF). The foundation provides support to various philanthropic activities and funding to registered charities across Canada where Honda customers and associates live, work and play. The HCF focuses on four key pillars – family, environment, engineering and education – and each year more than $1 million is disbursed to groups in need through more than 500 grants. More than 5,000,000 Canadians have benefited from Honda Canada Foundation–funded charitable programs. Our associates are passionate about supporting their local communities, helping those in need and preserving the environment for future generations. HondaGO rewards the personal investment of our associates and our retirees who willingly give their time and effort for the causes that matter most to them. Once an associate, retiree and/or their spouse volunteer for 24 or 48 hours annually, HCM makes a charitable donation to their organization. Across the calendar, HCM also provides opportunities for associates to come together as a team to volunteer in the community – supporting volunteers with HondaGO garb and a donation to the charity. To date, our volunteers have donated approximately 120,000 hours. HCM has been proud to contribute more than $600,000 to hundreds of charities in the surrounding communities. 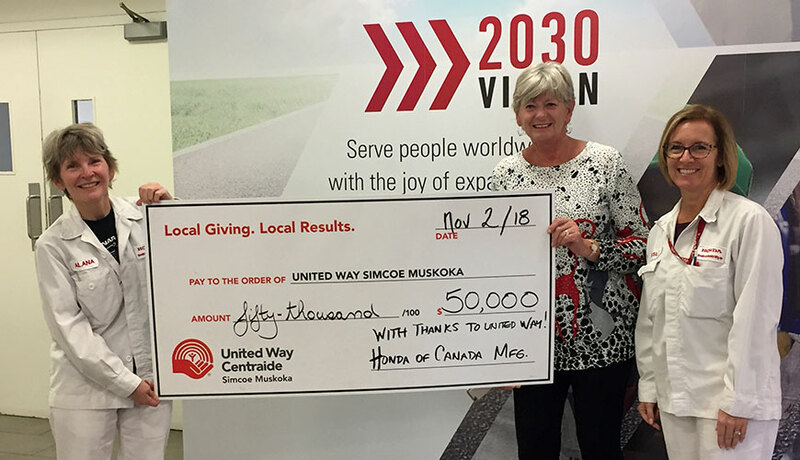 HCM has donated more than $750,000 to the United Way Simcoe Muskoka in the last 15 years. This ongoing commitment helps support vital community initiatives and projects. HCM and Honda Canada are proud to support students who are seeking to launch engineering or business careers. HCM presents two annual scholarships to second-year engineering students studying environmental technology or mechanical engineering technology. Please note: This award is by faculty nomination. Applications are not accepted, but you are welcome to contact the Awards Office at Georgian College for details regarding the nomination process. Honda Canada also offers two scholarships — one for a first-year student and one for a second-year student — studying business administration or automotive marketing, automotive business diploma program. 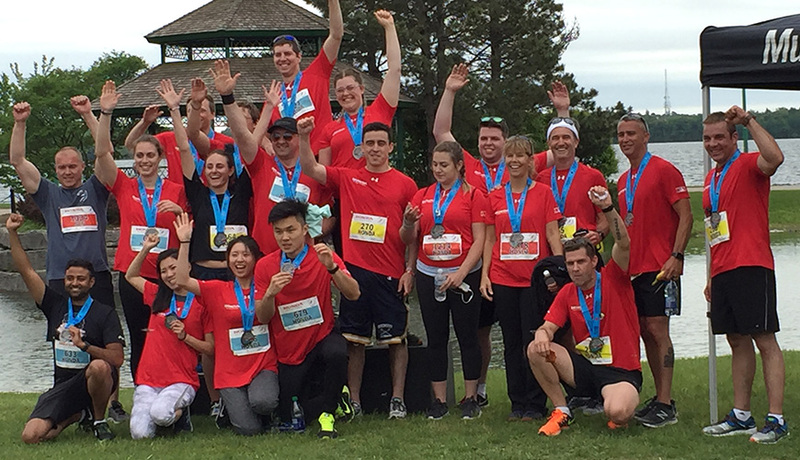 HCM has been a proud sponsor of the Honda Waterfront Run in Barrie since its inception in 2010. This community event brings athletes of all levels together as they run a scenic route around the Barrie waterfront. In 2018, more than 400 HCM associates and their family members took part in the race, which raises funds for worthwhile charities in the community. Learn more about this race and how you can participate here. Remembrance Day brings the New Tecumseth community together. It is a time to reflect and recognize the sacrifice of Canada’s veterans and current service members. Each year the local Legion spearheads the Poppy Campaign, and its Cenotaph Committee works to bring forward new and novel ways to recognize our veterans. HCM is a longtime Legion supporter and has provided more than $75,000 to assist the local chapter. In addition, every year an HCM associate attends the Remembrance Day ceremony at the cenotaph in Alliston to take part in laying a commemorative wreath. Most recently, in 2017, the community unveiled the final installment in a series of commemorative murals, which HCM was proud to support. At HCM, igniting the dreams of our students is a high priority, whether through scholarships at Georgian College or through a more “hands on” approach with the donation of Honda equipment. Throughout the years, HCM has been pleased to support local high schools that have Specialist High Skills Major programs in place, with a vehicle or other components for use in their manufacturing or transportation classes. In 2018, we provided two Honda Civics to area schools. 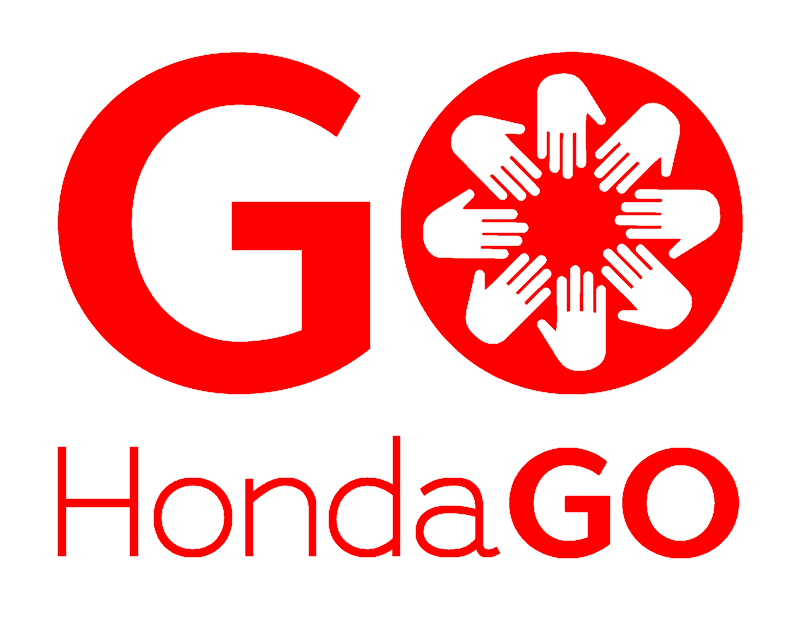 To learn more about how your school can participate, visit Honda Canada Foundation. ©2019 Honda of Canada Mfg.